Ideal for all skin types, Beauty People's first concealer duo is designed to cover imperfections, reduce redness, hide blemishes, moles, dark circles and signs of fatigue. 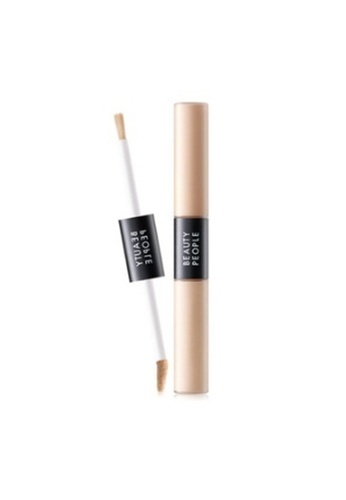 2-in-1 concealer is a multi-action formula that not only evens complexion but hydrates and strengthens the skin by helping retain moisture within for a naturally healthy looking skin. How to use: Apply a moderate amount on the areas with imperfections and spread not to have any border with skin tone. Can't find Absolute Cover Fit Liquid Concealer Duo #21 Conceal Beige in your size?